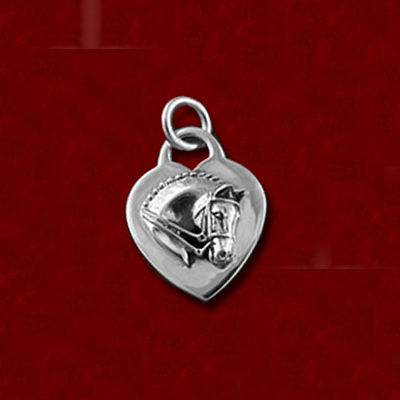 Dressage sterling heart charm with bracelet – 7-1/2″. Links can be taken out to make shorter…please specify if needed. Heart measures 7/8″ wide by 1″ long. 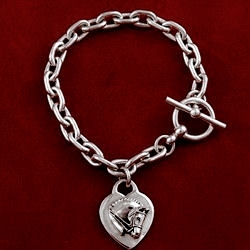 Heart can come on bracelet as shown or on the toggle end. 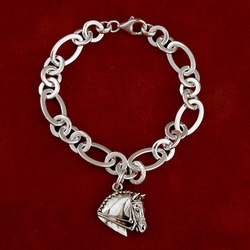 Dressage Sterling Heart with Sterling Silver Horse Charm Bracelet – 7-1/2″ long and other sizes available on request. Horse measures 7/8″ wide by 1″ long. Sterling heart with 14K gold horse charm bracelet. $550.00 Item 8000GHCB. Call to order. 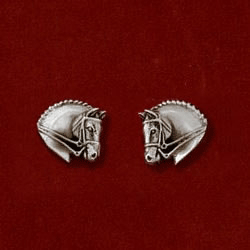 Other horse heads available on heart also.